Grace Min took home the championship on Sunday, June 10, to become the ResortQuest Pro Women’s Open champion. It all came down to a battle of No. 1 versus No. 3 in the finals of the 2018 ResortQuest Pro Women’s Open at Sea Colony on Sunday. Top-seeded Grace Min prevailed with a hard-fought 6-4, 6-2 win over Katerina Stewart on Sunday to become the eighth singles champion for the event. For her winning effort, Atlanta native Min earned a $3,919 victory check, 50 ranking points and an Alex & Ani bracelet. The ranking points allowed her to jump 14 spots in the world pro women’s rankings, to No. 183. Min and Stewart, who was the 2014 champion of the event, battled for an hour and 24 minutes on Court 23. For the week, Min dropped just a single set in her five matches en route to the tournament’s championship. She is now on her way to London, where she will try to qualify for the Wimbledon tennis championships. This year’s tournament was again sponsored by ResortQuest by Wyndham Vacation Rentals, as well as the United States Tennis Association (USTA) Pro Circuit and UBS Financial Services—Richard Rogers. 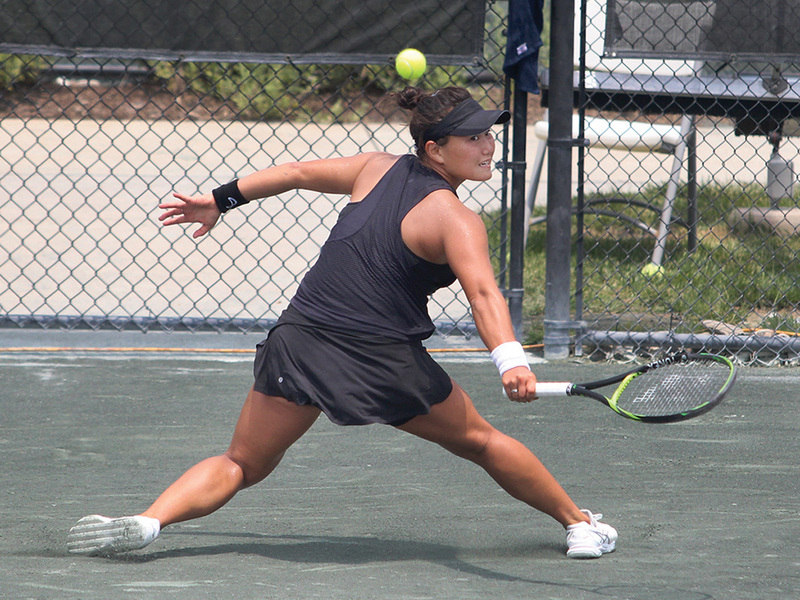 The singles and doubles main draws had attracted nationally- and internationally-ranked women tennis players from nearly a dozen countries to the local clay courts. Tournament officials and staff offered a very special thanks to the Sea Colony homeowners, the resort’s tennis committee and volunteers for making the event possible — as well as successful — again this year. For more information on the ResortQuest Pro Women’s Open at Sea Colony tournament, check out their website at www.SeaColonyTennis.net/pwo, or look at their Facebook page at www.facebook.com/SeaColonyTennis or Twitter feed at www.twitter.com/seacolonytennis with the hashtag #ProSC.